Real Techniques Core Collection Review! Hello! 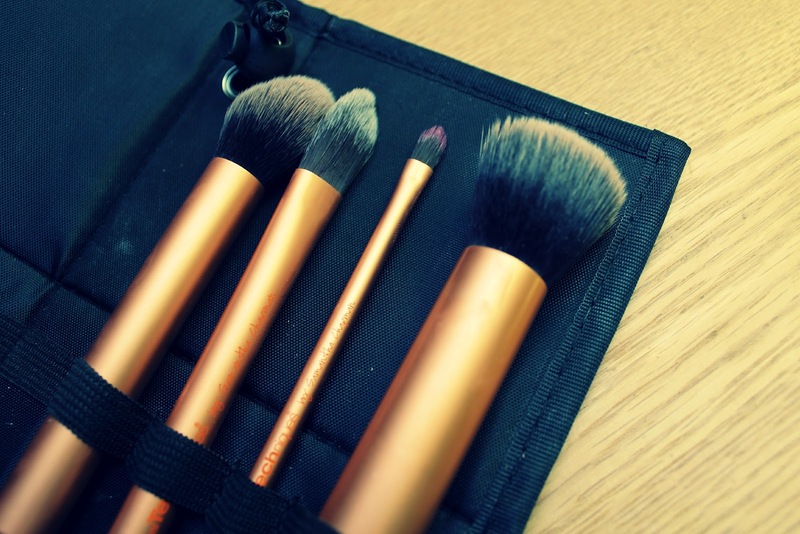 So I'm finally getting around to doing a review of these brushes! I got these at the same time as I got the Starter Kit (I think it's called that?) as they were buy one get one free! Great value! I'm going to start of by saying I only properly use two of the brushes in this set, although this morning I discovered the detailer brush is great for applying lipstick! Contour Brush - I LOVE this brush! I contour every day so this brush is really handy, I was using the RT blusher brush to contour but it was just a bit too big. This brush is perfect for the hollows of your cheeks, when I don't feel like contouring my cheeks I also used this brush to apply highlighter. I think it would work for blusher as well, so long as you use a light hand! Pointed foundation Brush - I will admit, I have used this brush once! I used it to get rid of eyeshadow fallout from under my eyes! I don't tend to like flat foundation brushes for applying foundation so I don't really think this brush is something that appeals to me, but I can't really judge it because I don't like these brushes any way! Detailer brush - Before this morning, I hadn't used this brush at all! Then a thought came into my head and I wondered "would that brush work with lipstick?" and it does! It is not too big so that you get lipstick all up your face but also not too small that it takes fifty years to put on a darn lipstick! Buffing Brush - Along with the contour brush I adore this brush! I have used it most days with my foundation! It is just amazing, it's not really dense. However, I like this as it spreads the foundation evenly on your face! It buffs in the foundation like nothing else! I think for £21.99 it is a great deal, it comes to just over £5 per brush. 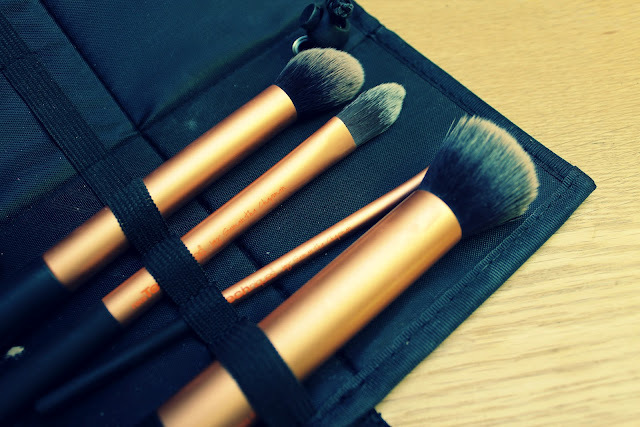 Even though I only regularly use two out of the four brushes I would still pay full price for just those two! I would recommend this kit, Real Techniques always seem to have a buy one get one half price offer on their brushes in Boots so if you see that definitely pick up the set and any others! If you would like to see a review of any of the other Real Techniques brushes I own, just leave a comment! I worked out how to edit the html, so I can now reply to your comments again! Yay!